I have a confession to make. What we’ve been telling you isn’t entirely the truth. Well, it is. Kind of. But there’s more to the story and I need to get it off my chest. 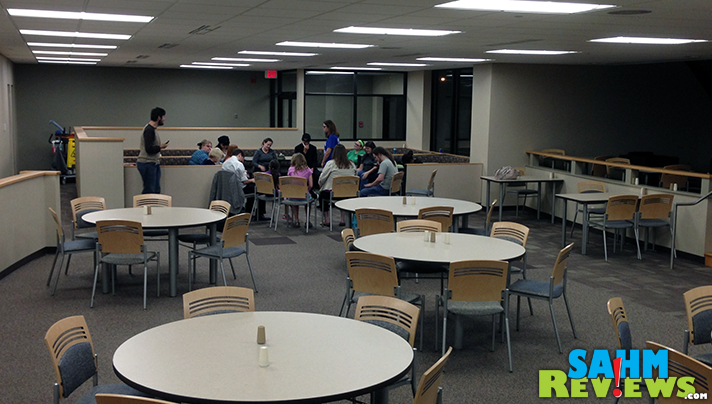 Scott and I often talk about our weekly board game meet-up at the local college. We go every week unless we’re at an all-inclusive resort or have some activity for the kids. We gloat about how our kids love us so much and enjoy playing board games with us until the late hours of a Friday evening. That’s where things aren’t quite as cut and dry. They do enjoy playing games with us and regularly sit down with the group to kick our butts at some cool strategy games. What I failed to admit is that there is one game that will tear them away from us in a split second: Ultimate Werewolf from Bezier Games. The minute they see the werewolf group gathering, they’re gone. History. Mom who? We don’t see them until we’re ready to leave at 10:30 or 11pm when we let them know it’s the last game for them for the evening. You know what? I’m happy about it. They have discovered that they can have fun playing games without us with an ever-changing landscape of other individuals. It’s truly a social game! I decided to capitalize on Scott’s current kick of “big game in a small package” theme and tell you all about this pied-piper of a game. It’s an extremely simple card game that can accommodate anywhere from 5 people to 30 or 6 people to 75 depending on whether you have the ultimate revised or deluxe edition. 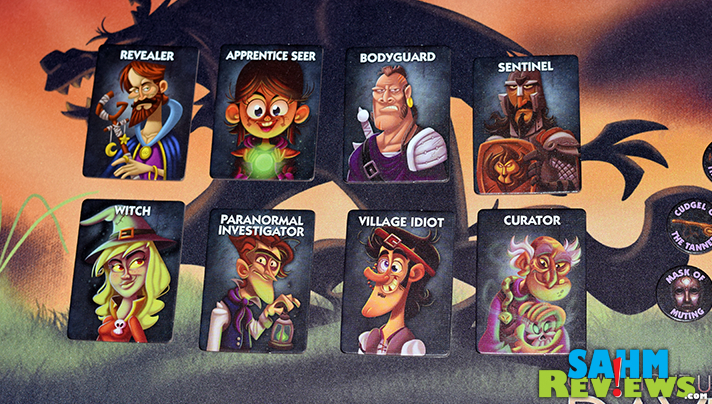 Everyone is given a random card from the deck of roles including villagers and werewolves along with special characters such as a seer, witch, robber, village idiot, drunk, spellcaster or old hag. The goal of the game is to kill the werewolves before they kill all the villagers. Communication takes place through a moderator as he tells the players to open and close their eyes at certain points in the game. During the silent portion of the game, thumbs up and pointing occur between players. Each round at night the werewolves get to eat someone. During the day, everyone votes to hang someone they believe to be a werewolf. Before a vote happens, players plead their case as to why someone should be put to death then that individual is allowed to rationalize why it should be someone else and not them. During voting, thumbs up means someone lives and thumbs down means they die. Each round players evaluate what people said, who they voted for and whether someone is being truthful. The game sounds morbid but honestly it isn’t. It’s a social deduction game relying on skills of deception and persuasion as players secretly swap roles with someone else, try to convince the others that they aren’t a werewolf and why someone they know is an innocent should be convicted. The only pitfall is that it can last several rounds depending on how many people are playing and how they play out their roles. 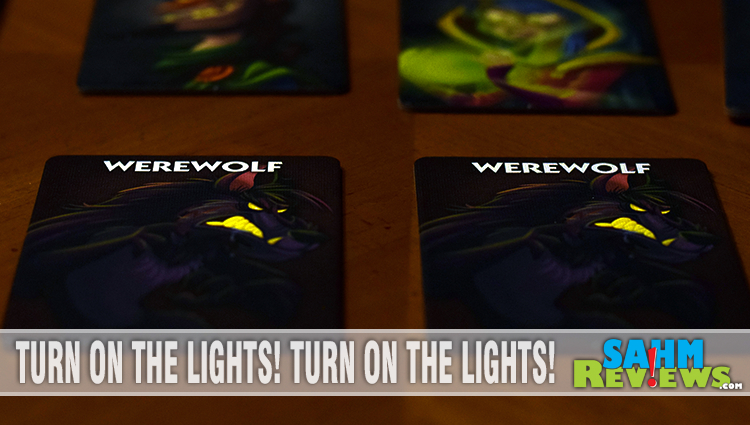 That’s where One Night Ultimate Werewolf comes in. With the same base game, the roles are slightly different, accommodates up to 10 players and lasts about 10 minutes. 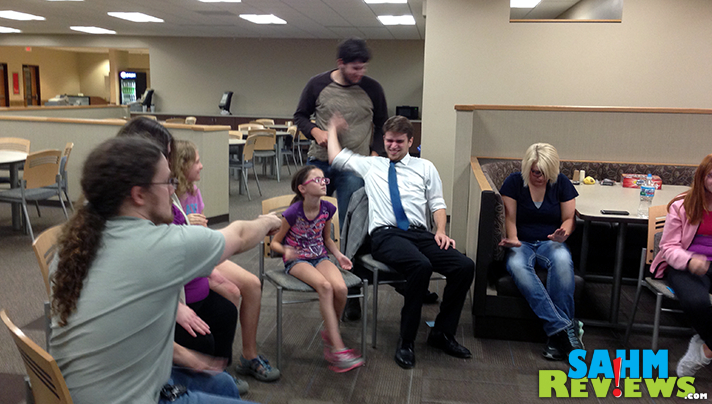 Players need to work quickly because they only have one night to solve the mystery of who the werewolves are. This quick turnaround time gives players the ability to play multiple times allowing a lot of diversity as they will probably have a new role when the next game starts. 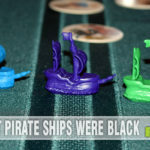 One Night Ultimate Werewolf Daybreak removes the villagers and moderator while introducing artifacts as a new component. While we have played these as a family, they don’t have the same feel as with a larger group so plan to gather up some friends when you are ready to play! 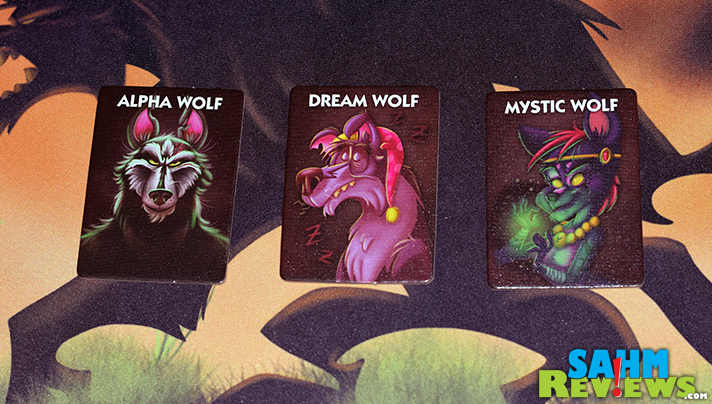 Whether you are looking for a long game or a short one, the Ultimate Werewolf series has you covered. Prefer vampires over werewolves? Tune into Bezier Games’ Facebook and Twitter pages for updates on the release of their next iteration of this game: One Night Ultimate Vampire scheduled for January 2016! Looking for something a little more suburban? Then check out Suburbia. Stay tuned as we will be sharing another Bezier Games favorite, Castles of Mad King Ludwig! Would you let your kids run off to be “attacked” by werewolves? I think I might know someone who would love the Vampire Game–she love the Vampire books and can’t get enough of them–bet this would be the perfect Christmas gift for her! I need to find someone close to where I live that has One Night. My wife is a big fan of Werewolf. I am not as much as I played it a bunch during college in games that could take a very long time and be quite heated. One Night may be a good mix for us, scratching that itch for her and fitting into a more friendly timeframe. Great social game. One if the best at that gender. This is the first time I heard about this game. It sounds interesting. I think my kids will love this. I’d never heard of this before. Looks pretty interesting, and like it could be a lot of fun! I prefer games that are quick and do not last much time. 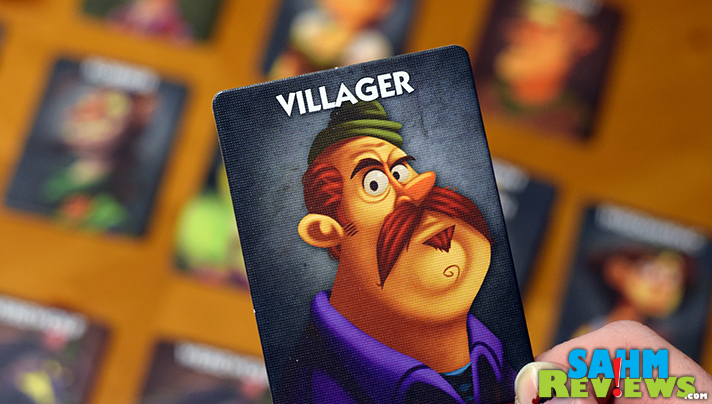 Have to check out the One Night Ultimate Werewolf! Sounds like a lot of fun and a great way to further develop the observing skills. We have game night with another family once a month. We switch off choosing games. This seems like one our tweens would enjoy. I love this idea! This is my favorite part of the holidays! the games we play with each other is the best part! I must save this and try this out one day! 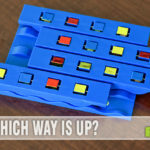 Looks really cool and a game to keep you thinking with a LOAD of people! I like the social aspect of this game. I think it makes playing it more engaging. This sounds like a neat one! You’ll make good use for your imagination, for sure! 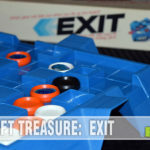 Games were meant to be played with other people, so the social fun of this one is totally appealing. I love that the kids enjoy it so much. Ooooo another fun game to add to the family game night list! We don’t have any Vanpire games. Never heard of this game before but sounds fun! This is one game I just cant bring myself to purchase. I have yet to play a few rounds, so Im trying not to pass judgement on whether Ill enjoy it or not, but I just cant bring myself to purchase this one. I would totally let my kids run off to be “attacked” by werewolves! I’m okay with the vampires too. It all sounds like fun! I have not heard of this game before and as I can see how some people would like it, I don’t think it would be the type of gamed I’d enjoy playing or play with the kids. What is the age level suggested for this game? This actually sounds like a reallyfun game. I think my sister in law would love this for Christmas. Think I’ll look into getting it for her. Thanks for the review! I have never heard of this game but it sounds really interesting! I agree on the pitful being length – I do love when a game offers a shortened version when time is tight. I hadn’t heard of this game before. The graphics on the cards look very detailed and colorful. Being quick would even make it good for travel. This game sounds awesome and super interactive, which would be great for a family gathering, kids party and so much more. To my inexperienced gaming mind, it almost seems like a fun twist on Clue. I like the artwork and the game looks fun. This is a super-fun social game – more like a social activity really. It only comes out during the holidays when we have lots of relatives visiting who prefer light, shorter games. This one fits the bill perfectly and is a blast to play with young and old alike. You should come play with us at our convention dedicated to social deception games, Decepta Con. We started it as a way to get together more frequently than once per year at Dragon Con to play Ultimate Werewolf with a large group of players. It is 3 full days of Werewolf, hosted at a hotel in Atlanta. President’s Day weekend, Feb 16-19, 2018. @condecepta on Twitter, @Decepta.Con.ATL on Facebook and DeceptaCon.net on the web. It is free to attend, but we fund the space to play via GoFundMe!